While it’s easy to buy on AliExpress and we’re usually rarely disappointed with our purchases, it’s a purchase that turns out to be a little bit more perilous. Indeed, the experience becomes even stronger when you decide to buy clothes. For example, you do a first search, you start to browse through the articles, until you come across a small dress that you like. You are then filled with doubts when you add it to your shopping cart, because you don’t know what size to choose. Do I have to choose the same size as what I can take in a shop? Smaller? You are right to think before buy, because compulsive buying on Aliexpress is the best way to end up with a garment that is too small. That’s why I make this size guide for AliExpress. I’ll try to show you all the tricks to find the right size, I’ll show you exactly how to calculate it, to avoid mistakes and allow you to get the most out of your clothes, shoes and accessories. My first advice is a simple common sense reflex. If you want to have the assurance that buying a garment that will be well cut/cut and of good quality (first criterion to be taken into account before cutting), I recommend choosing your garments in reputable stores, i. e. stores with good reviews, namely four or more diamonds. I invite you to read my Aliexpress shopping guide for more information. Because by choosing a buyer who already has many returns, you will avoid wiping away the plasters and you will be able to rely on the returns and experience of several hundred customers, which is still a great sign of confidence. Now that you are sure of the quality of the products and the reliability of the seller, you can concentrate on the size of the garment. That said, you have to get used to the idea that on Aliexpress, what is valid at one vendor will not necessarily be valid at another. Each vendor has its own size system or almost every single one. There are still a lot of shops that use the Asian system as a base, but I prefer to say that there are no rules so you are warned :). But don’t be afraid, because it’s not because they don’t use the measures to which they are accustomed, that you can’t find a jacket or a small dress our size. In fact, sellers try hard to give a lot of information about the sizes of their clothes. You will find many tables of correspondences. You will only need to take your measurements with one meter. Write down these values on a piece of paper to avoid doing it every time (well, don’t do what I do;). Here are a few examples of correspondence tables you might find on the site. I preferred to deal with the choice of shoe pair size in another article. I invite you to read my guide to find his shoe size on Aliexpress. Some vendors use inches as a unit of measure. It would be foolish to make a mistake in making a bad conversion. Then, pay close attention to the measuring chart displayed on the data sheet. And to avoid any error, find below a small calculator to convert inches to centimetres. We have just seen the importance of comments in choosing the size of the garment. It is also sometimes important to look at the product sheet carefully. Because in addition to finding the usual size matching table you can sometimes find information that will guide you. Here again I will take a personal example. I bought a sweatshirt recently. Until now at each of my other orders on aliexpress the seller used Chinese sizes. Here I arrive on the seller’s page and I see on the product sheet a further indication. Indications are added to the photo of the model wearing the sweatshirt (or not on the photo: p). 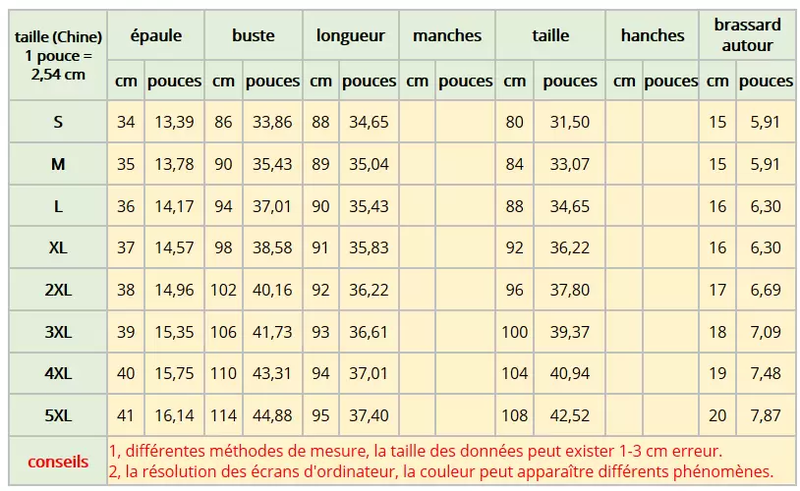 As you can see on the screenshot below, the measurements of the dummy are shown on the picture. There we can see that he is 1m85 long, who has nice pec and that as a result he does 97cm at chest level… and so on the picture he wears the model in size M. for once big stroke of luck, I (almost) do the same measurements as the model: p, I bought several sweaters and they fit me perfectly. It is therefore necessary to take the time to read the data sheet. Don’t forget that the goal of the seller is 1) sell his goods and two) to get a good score from you when you receive your package. But if your clothing is not to the right size, chances are you don’t really want to put a good mark:). It is therefore in his best interest to give you good advice before your purchase. So if you have any doubt, send a short message to the seller. Remember, there’s a little jet lag. If you write in the morning you will have a chance to get an answer in the day, otherwise it will be the next day. Before buying a garment online, it is important to know your body type. Why? Female and male models who show the pieces in some publications tend to have a weight requirement for their profession, and a body type with a certain slimming so that your attention is focused on the garment and not on who wears it. Therefore, you can’t let yourself be blinded by the image you see, but rather think about what kind of clothes are favorable and which ones aren’t, what cuts and fabrics you feel more comfortable or more comfortable, and which fabrics are most suitable for your area. Sometimes images are misleading. An article that looks hot in the picture may actually be quite light. With all these details in mind, you avoid disappointment if, when the garment arrives, you feel that it does not resemble the image, or that you are really different from what you had imagined. The first cause of litigation on Aliexpress is without context the wrong choice of size at the time of purchase. It is important to be very careful before starting a dispute. Because the seller could make difficulties, see to refuse the refund if the error was made on your side. For example, you have taken your measurements wrong and the garment does not fit you. Now the problem is on your side. 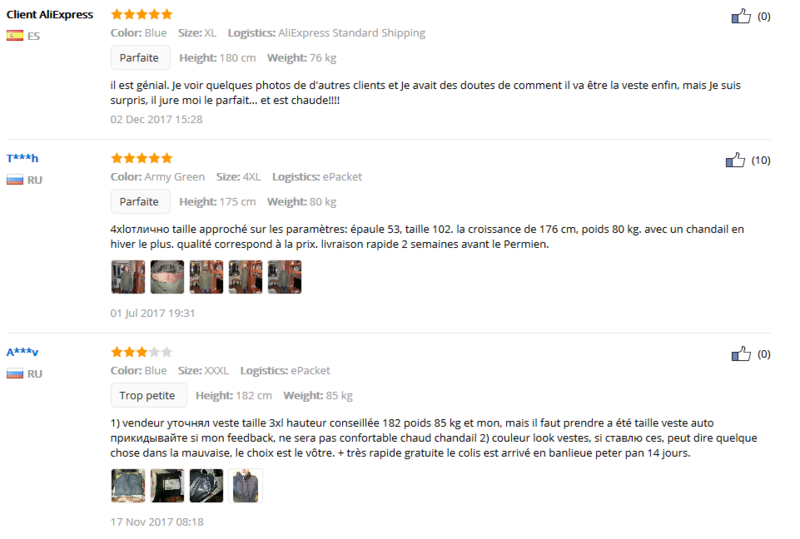 If the seller didn’t send you the right size or if the size of the jeans is announced at 100cm in XL and the final size is only 95cm then the seller is wrong. Remember to provide all the evidence (photos). Don’t buy a garment if you are not sure of the cut and the garment will “work” on you. 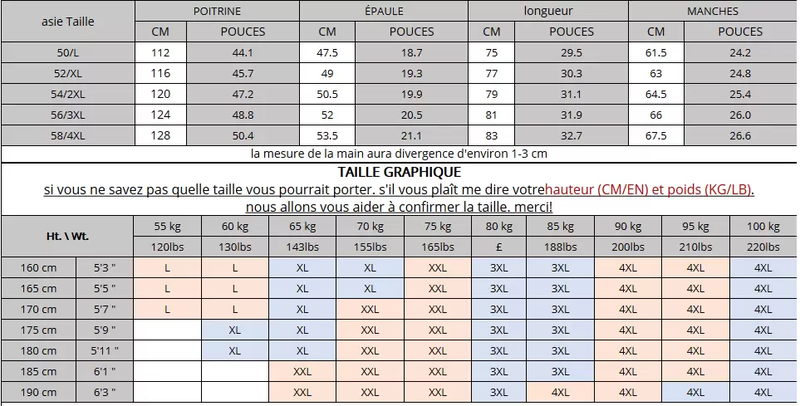 Many stores offer size charts that accompany clothing. Just take your measurements and see what size you need. Check if the charts are in centimetres or inches, and make sure to take measurements with the correct system. Make the purchase only when you are 100% sure that the selected size is right for you. View comments from people who bought before you. Many give indications of size and weight and tell whether the garment fits or not. Read the product sheet carefully, we sometimes find interesting information. If you’re ready to buy multiple items from the same store, it’s best to try the size by buying a single item. If this one fits you then you will be able to buy the closed eyes of other clothes of the same size. If you don’t find your size in the store. Don’t insist on taking a “default” size, there’s a good chance you’ll be disappointed.